There are a lot of different parts that make a garage door system. You have the panels that make up the door itself, you have the opener which automates, powers and controls the mechanism, you even have the rollers and the tracks, that help ensure the opening and closing action is performed in a safe and secure way. But arguably the most important parts of the entire system are the springs. Garage door springs are essentially the muscles of the mechanism. They support the weight of the panels, and – through either extension or torque – provide the counterbalance needed to lift them with relative ease. These components are therefore under a lot of stress, seeing as the nature of their action involves becoming loaded with a significant amount of tension. That's why any adjustment, installation or replacement of these units should only be performed by a professional with experience and technical skills. That's where our team comes in. 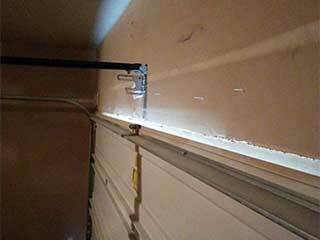 There are currently two kinds of garage door springs that are being used today. The first and newer variety uses torque, i.e. a winding and unwinding action, to provide the necessary tension that allows the door to rise and lower. These are the torsion springs. They are more flexible and durable than their counterparts, and they two can come in slight variations, like the oil tempered or galvanized torsion units. The second type is the extension springs. These units work by stretching and contracting, basically like a slinky toy. They're always set up as a pair, with one unit attached to a different side of the door. Because of the way they work, they're more likely to whip around when they break, which is why a lot of times they're secured with safety cables, which will help to prevent that. If you need to have a broken unit replaced, or if you need to have the tension adjusted to bring the door back to a balanced state, reach out to our team. Our professional technicians at Garage Door Repair Forney will be able to help you with any type of issue involving these important but dangerous components. Call today for more information.